February 26, 2013 is Victor Hugo's birthday. He would have been 211 years old. The Oscars presented a large singing production of Les Misérables actors, from the movie based on the musical inspired by Hugo's popular 1862 novel. Perhaps it would be worthy of noting, on Hugo's birthday, that his writings are the source of some intriguing synchrocinematic moments. 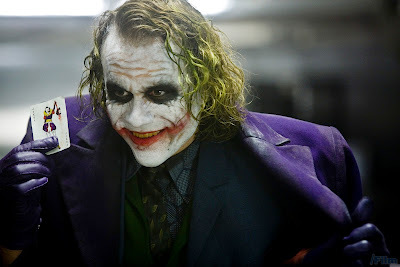 For example, few realize that Victor Hugo is the inspiration for the Joker, make famous in recent years by the late Heather Ledger's character Joker in The Dark Knight. 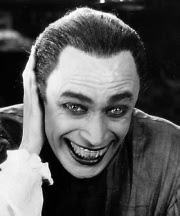 The link is due to The Man Who Laughs (also published under the original working title By Order of the King), a novel by Victor Hugo, first published in April 1869. 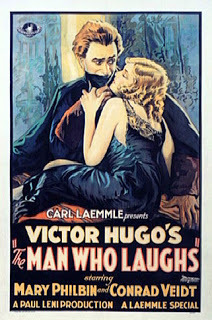 Hugo's Romantic novel The Man Who Laughs places its narrative in 17th century England, where the relationships between the bourgeoisie and aristocracy are complicated by continual distancing from the lower class. 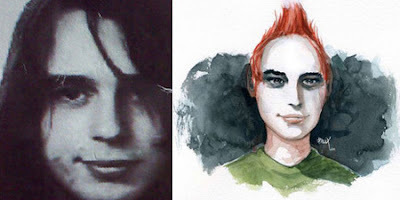 Hugo's protagonist, Gwynplaine (a physically transgressive figure, something of a monster) transgresses these societal spheres by being reinstated from the lower class into the aristocracy—a movement which enabled Hugo to critique construction of social identity based upon class status. 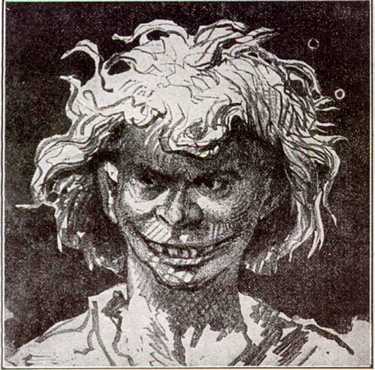 The main character Gwynplaine in Hugo's The Man Who Laughs, whose face was disfigured into a laughing mask as a child, falls in love with a blind girl named Dea. 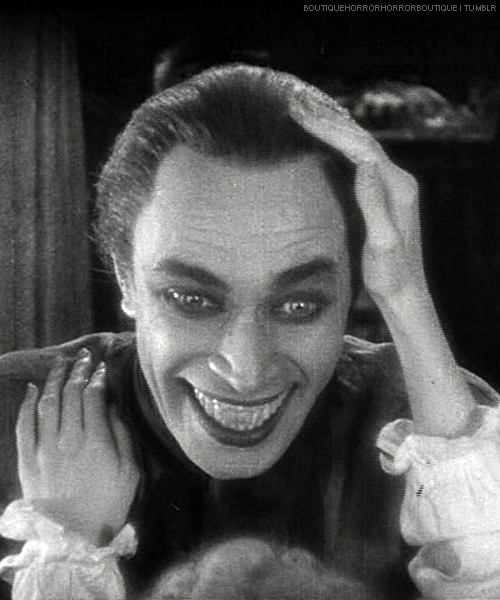 The 1928 film (including the anachronistic Ferris wheel) The Man Who Laughs serves as important link to the modern representations, a direct precursor of the Joker. 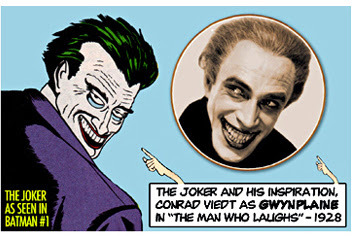 In 1940, comic book artist Jerry Robinson used Gwynplaine's lanky physique and grotesque grin as the visual inspiration for the Joker, Batman's archenemy. 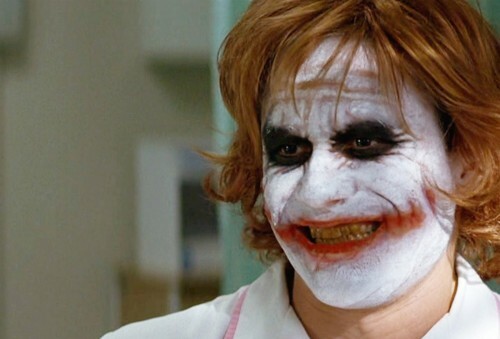 There the similarity ends, however; Gwynplaine is an embittered hero, while the Joker is a psychopathic criminal. 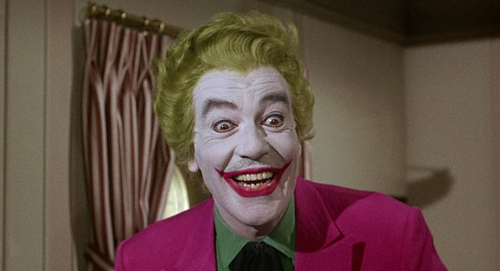 All of the recent Jokers trace back to Victor Hugo. Also, according to a French blog, a David Fincher movie has a shared fate of his Se7en character played by actress Gwyneth Paltrow (whose first name resembles Hugo’s Gwynplaine, and was often slated as a Catwoman candidate), eerily echoes the not-so-happy ending of Blanche, the secret daughter of Verdi's Rigoletto (also inspired by Hugo). Source. For more, see also here. 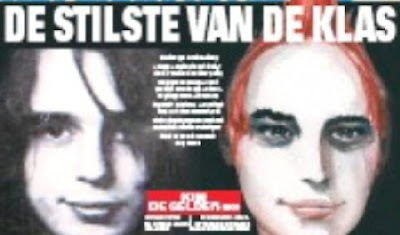 Meanwhile, over in the Netherlands, there is news of the trial of a Joker copycat killer. 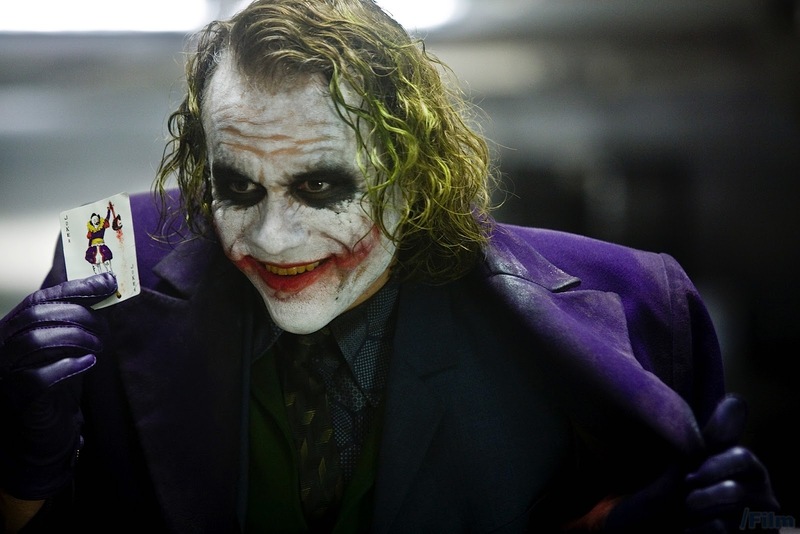 There is little denying that the 2009 Dendermonde Joker is a Heath Ledger/Joker copycat from the 2008 film The Dark Knight. 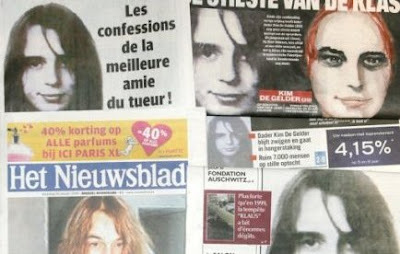 (The "Dendermonde case" is code for the 2009 event involving the daycare nursery killer, Kim de Gelder, the Dendermonde Joker. 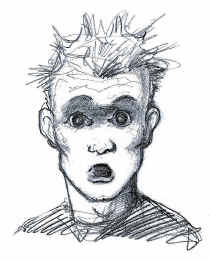 I've web logged several entries about the subject, for example, here, here, here, here, here, and here.) Now for an update. 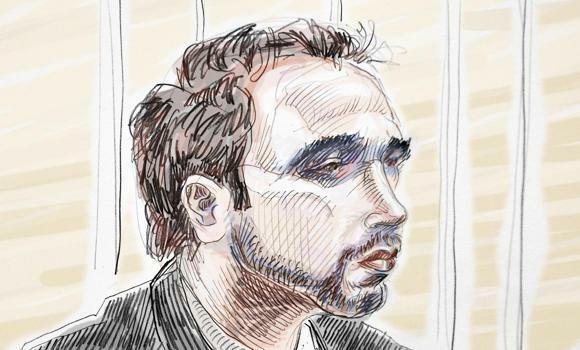 An artist's impression of Kim De Gelder on the first day of his trial at Gent's courthouse on February 22, 2013. 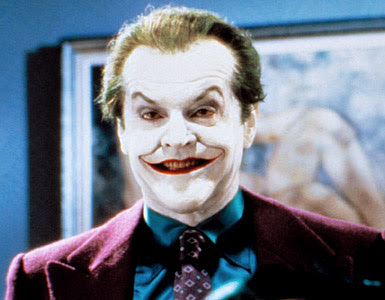 A nursery killer disguised as Batman villain The Joker told a court he was left "no choice" but to stab to death two toddlers and their caregiver at a Belgian creche -- despite saying he knew murder was wrong. Source. 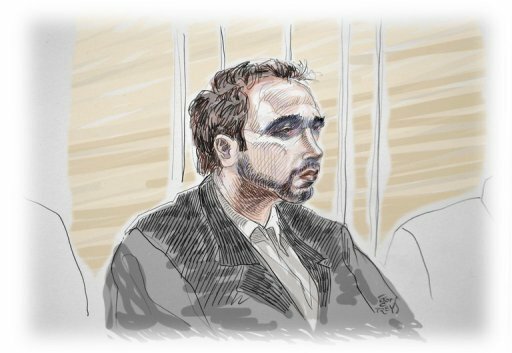 De Gelder is charged with killing the two infants and their 54-year-old carer in an attack on the Fable Land nursery in the town of Dendermonde in January 2009, as well as the attempted murder of 22 others at the creche -- including 16 babies and toddlers. De Gelder is further charged with murdering an elderly woman in a separate attack a week earlier. Just after the release of cult 2008 Batman movie The Dark Knight, De Gelder entered the nursery with his hair dyed red and his face painted white with black around his eyes -- like the film's villain The Joker, as played by the late Australian actor Heath Ledger. 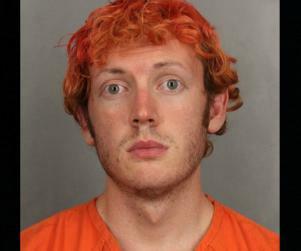 In the Aurora shooting, on July 20, 2012, James Holmes (dressed as the Joker wearing Bane-like protective wear) stands accused of killing 12 people and wounding 58 in a cinema screening of The Dark Knight Rises. Please also see Joker Copycats, 2008-2012, and the immediate Aurora Copycats, which included some Joker Copycats. Thanks to Theo Paijmans for the Victor Hugo-Black Dahlia info. Seeing the unusual name Gwynplaine here reminded me of that tragic author F. Gwynplaine MacIntyre. 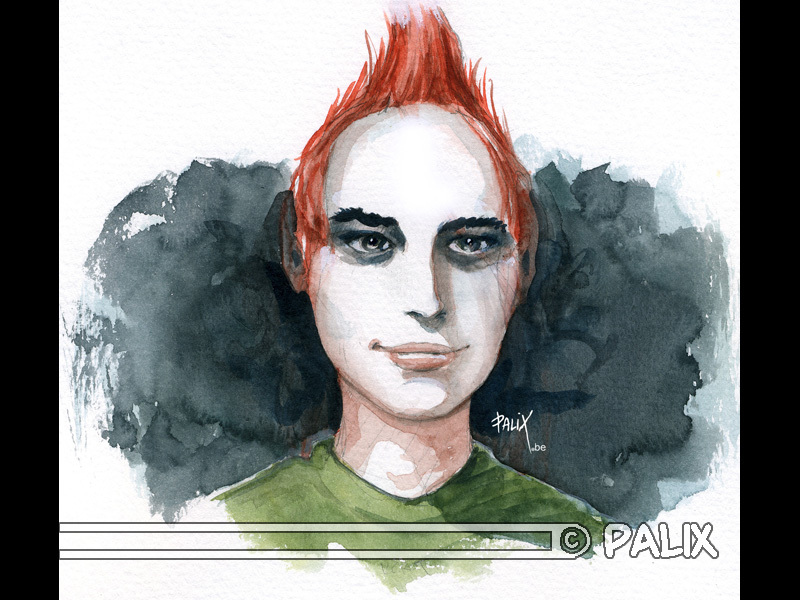 He was an eccentric and regular at science fiction conventions. The one book of fiction that he published, The Woman Between the Worlds, involves "A female shape-changer, pursued by invisible aliens, escapes to Victorian London. 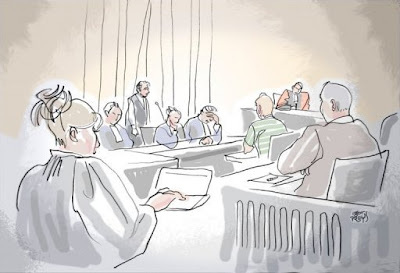 . . where she is aided by Aleister Crowley and the disciples of the Golden Dawn." 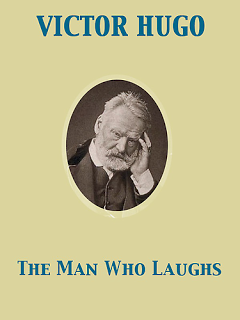 Even his name was manufactured and mysterious: Gwynplaine was the smiling but unhappy character in Victor Hugo’s “The Man Who Laughs.